I hope everyone got a chance to enjoy all the posts on this weekend's blog hop. If you missed it, Sandy has made a handy Inlinkz of all the direct posts here. 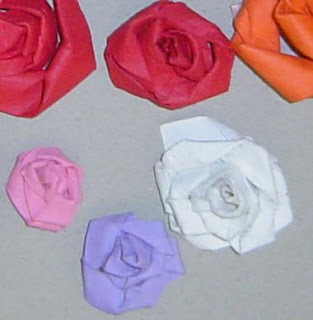 Amanda's beautiful flowers were made with paper. I don't have a lot of paper that isn't different on each side, and I have a lot of scraps. (I never can make myself throw out scraps of any significant size. 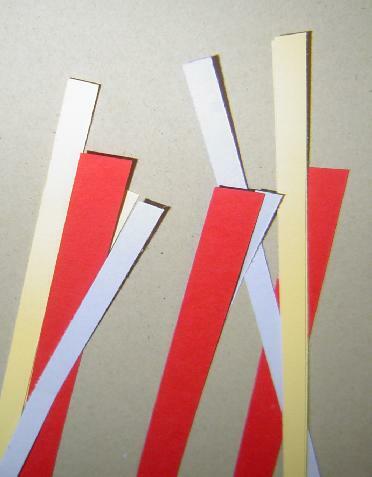 I decided instead of using paper folded in on itself, I would try using some of my 1/4" or 1/2" strips of cardstock. I tried a variety of strip lengths, from around 5" to 11". It took me several tries to get something that I could charitably call a flower. Take a strip of cardstock and spritz it with water on both sides. I don't have a picture of this, but I just sprayed it with a water bottle. This softens the cardstock and makes it easier to twist. 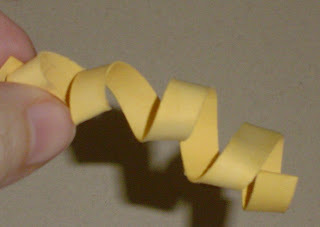 Wrap the damp strip of cardstock around your index finger and pull i off in a corkscrew. The corkscrew has nothing to do with the shape of your flowers, but rolling it around to make it will break the fibers in the cardstock to make the twisty flower-making easier. Roll the end of the strip tightly against itself to make the center of the flower. 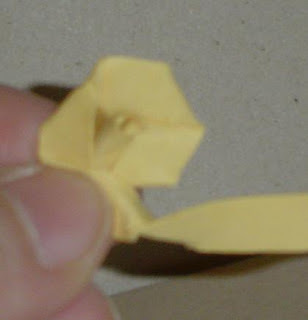 Hold the flower-to-be in your left hand (right, if you're left-handed), then twist the cardstock with your right hand while turning the flower around. Just keep the twisting and turning going until you get to the end of the strip, then tuck the end under the flower. Untitled from Kate Mrdja on Vimeo. As I said, don't worry if the flower looks like a bit of a mess at first. Just play with it. If it gets hard to work with, give it another spray with the water bottle. 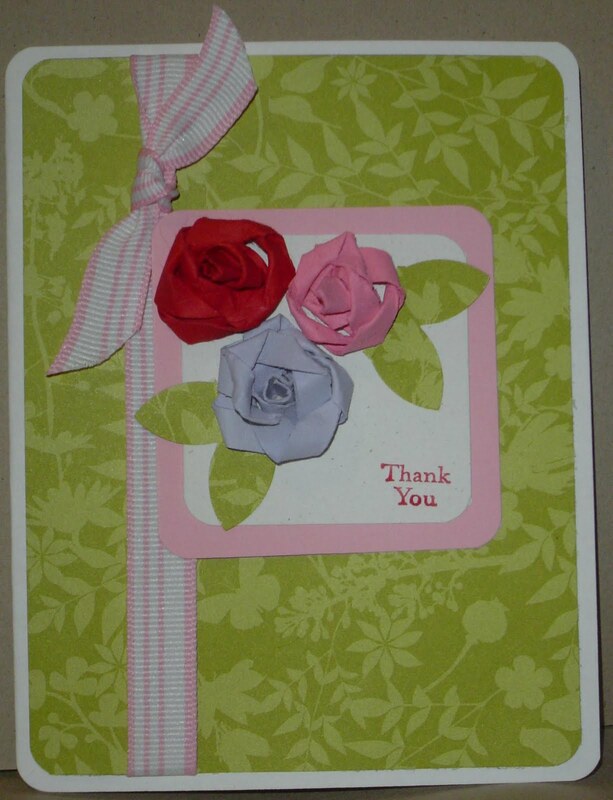 Set the flower aside and let it dry, then secure it either to your card, or to itself with sticky strip. Here are several of my earlier attempts left do dry. If you have any suggestions for Tuesday Tutorials, or if you would like to share a tutorial yourself, please email me at kate@operationwritehome.org. If you're nervous about writing a tutorial and you missed my "Tutorial Tutorial" this weekend, please visit my hop post. that looks like fun - I will have to give it a try. The results of this technique are beautiful. I am hoping my try yields nice results like yours did Kate. I've never tried making a flower like this - you make it look easy! Are they bulky on cards? for mailing that is? I'm exhausted tonight, but am hoping to get some of these made tomorrow. They look so cool!